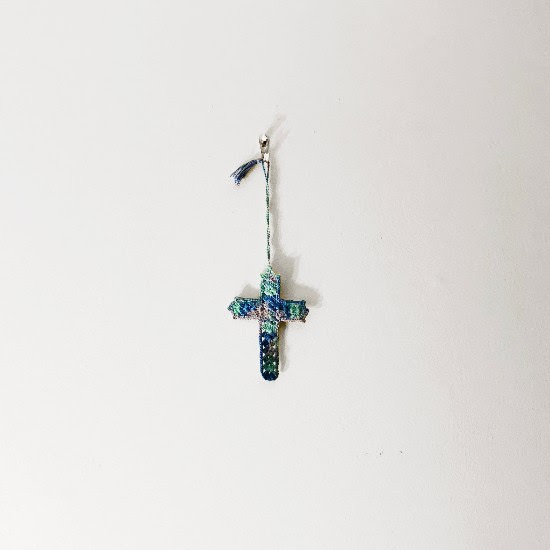 Above 24 year-old Sae Heum Han’s desk hangs a blue and white crochet crucifix given to him by his grandmother. This object doubles as the artwork for ‘Serenade’, Han’s second EP as mmph, which is to be released by Tri Angle records on September 7th digitally and on tape cassette (limited to 100 copies) and vinyl (500 copies). Separate from any religious connotations, the crucifix represents love, loss and hope – themes mmph explores on the EP. Today he shares a first taste of the EP with track “Woodlawn”. ‘Serenade’ follows his debut EP ‘Dear God’, which was released on Tri Angle Records earlier this year. Since the release of ‘Dear God’, mmph has worked on his own evolving sound while also producing new music for the likes ofDavid Byrne, Serpentwithfeet & Lauren Auder. 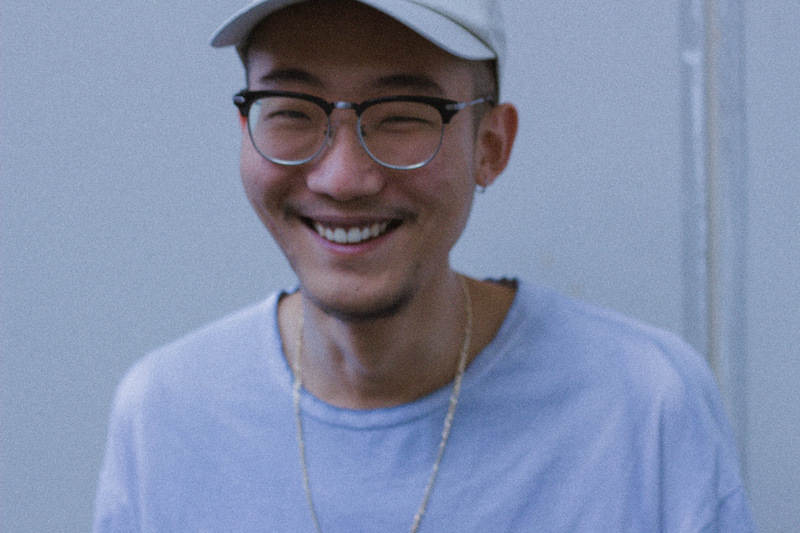 Classically trained since childhood, Han attended Berklee College of Music to study cello before shifting his concentration towards Electronic Production & Sound Design, a pivot that resulted in the birth of his project, mmph. mmph’s compositions exist at the intersection of analog classical music arrangement and forward thinking electronic sound production. While ‘Dear God’ processed the way in which certain personal tragedies had eclipsed Han’s“personal love affair with music,” ‘Serenade’ evokes a newfound expressive romanticism utilizing a broader palate of orchestral and electronic sounds. Melodically focused, orchestrally informed and rhythmically driven, each of ‘Serenade’s five songs utilize a different classical trope to create Wagnerian suites in miniature. “Minuet” is a stately dance in triple time (performance),“Tragedy” is a play (death), “Elegy” is a mourning poem (death), and “Serenade” is a courtship song often played in the open air (love). Fusing synths choirs, arpeggiated (sometimes plucked) strings & steel string guitars, mmph creates a sense of extraordinary melodrama that feels more at home against the romantic backdrop of a Turner seaside cliff than a college student’s basement. Against these romantic landscapes, the baroque-feeling mini-operas of mmph’s ‘Serenade‘ comes to life. &around New Single & Influences Playlist!